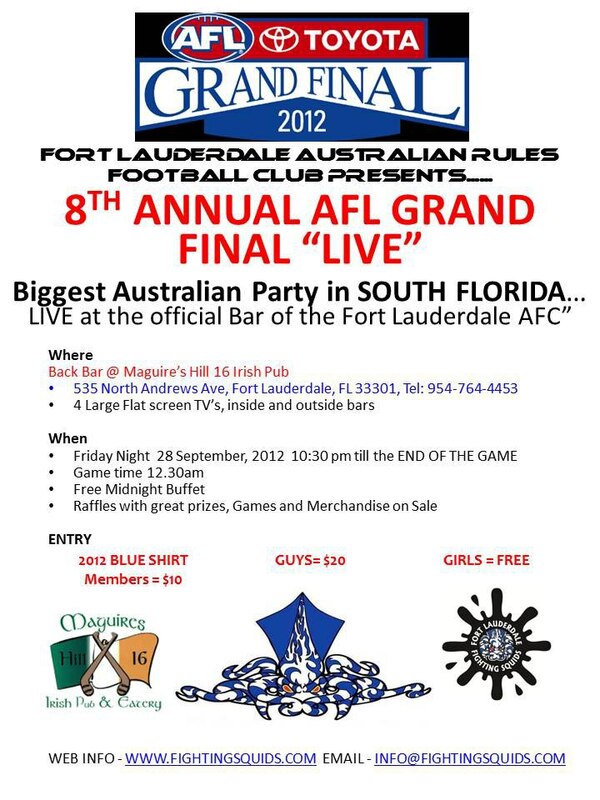 The Minnesota Freeze will be holding our 9th Annual AFL Grand Final Party! 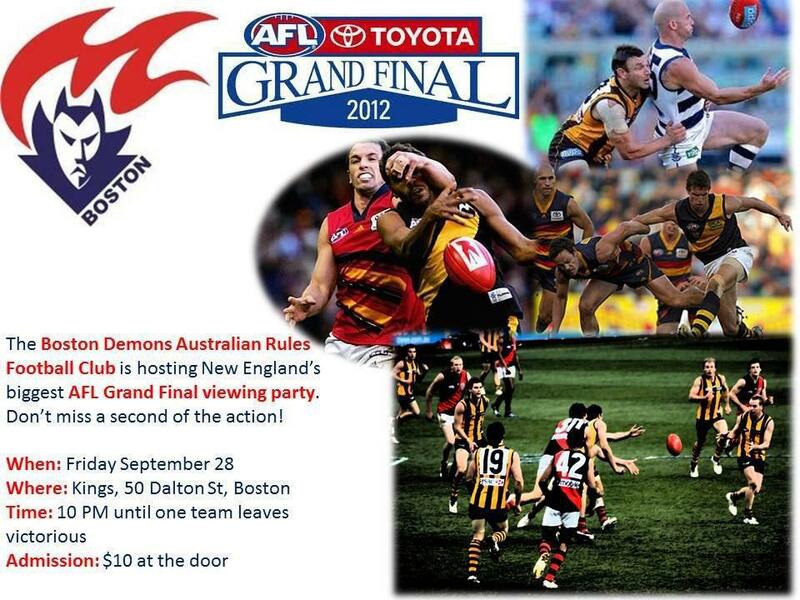 Come and watch the Hawthorn Hawks contest the Sydney Swans for the 2012 AFL Premiership. 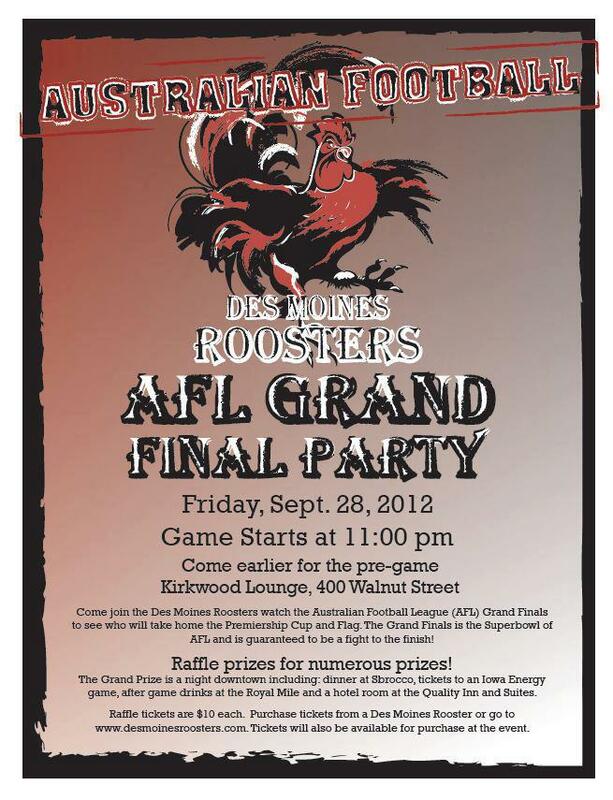 This year, we will be gathering at the Cooper Pub in the St Louis Park West End development on the southwest corner of I-394 and MN 100. 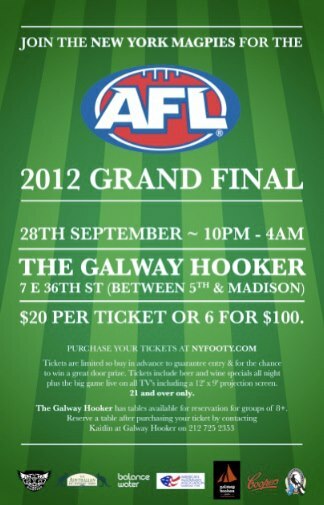 The festivities will start at 8:30pm with the first bounce at 11pm. 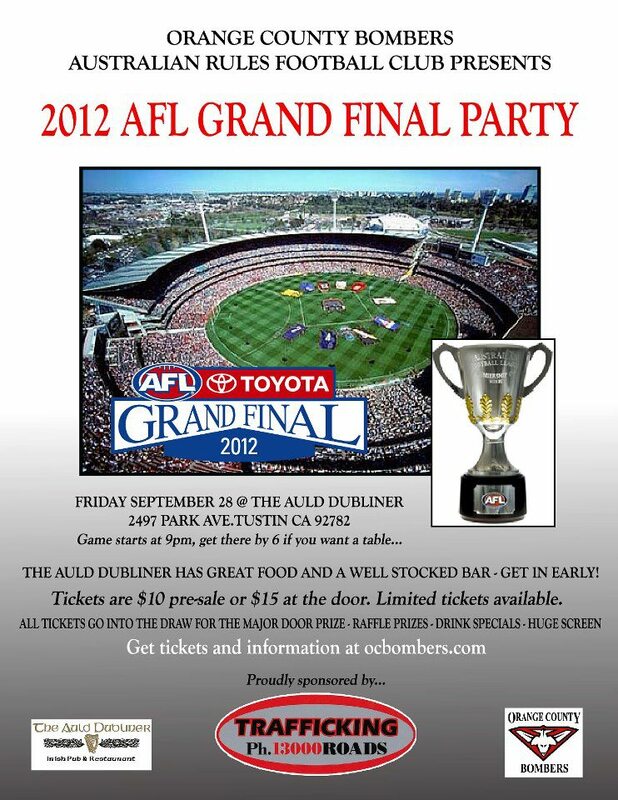 RSVP and Check-In on Facebook! 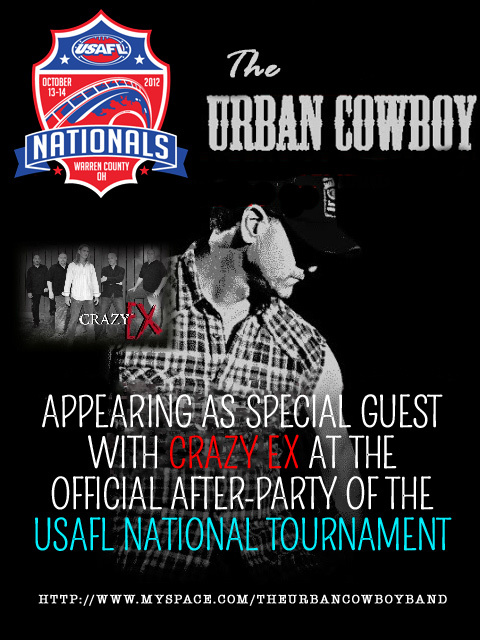 Once again, the USAFL is proud to have Crazy Ex with special guest The Urban Cowboy (aka "Grilla") entertain tournament attendees during the Official Sunday night After-Party at The Brazenhead Irish Pub ENTRY IS FREE! 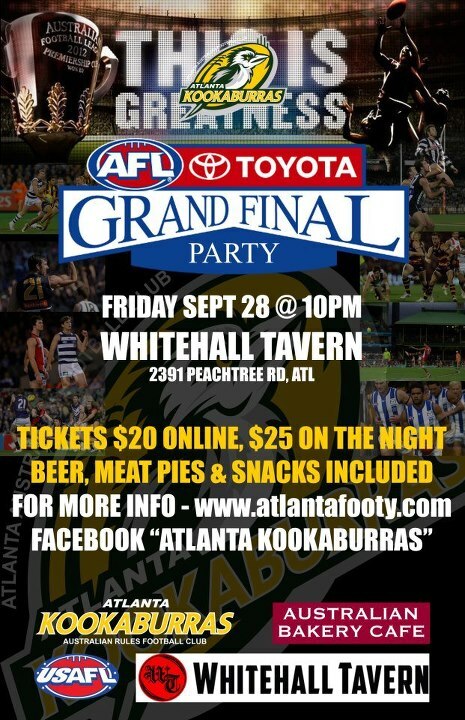 The Annual General Meeting (AGM) will take place immediately following the Administrators Conference on the Firday prior to the National Tournament.